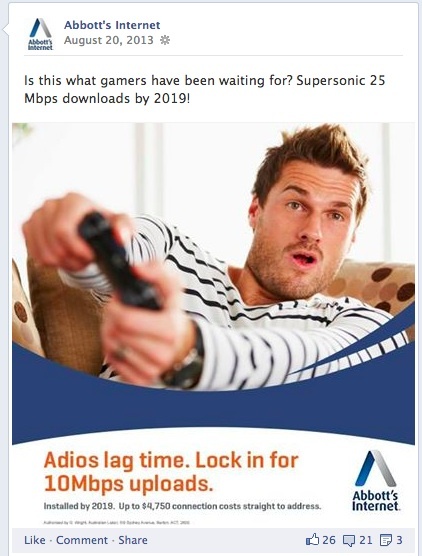 To highlight that Australians deserved The Labor Party's (our client) - world-class broadband service, we created and marketed a fictitious company, ‘Abbott’s Internet’. Our plan was simple - we tried to sell the rest of the world the exact same broadband policy that the Liberal Party (the opposition) was trying to sell to Australians. The result was the most popular social campaign in Australian political history. We used Facebook ads that targeted people from countries including the US, Hong Kong, Andorra, Romania, Czech Republic and we hit the streets to promote our product in different global cities to gauge the locals reactions. We generated over one million video views, 8,229 Tweets with a potential 8.5m+ impressions and for a short time, we made the election entertaining.